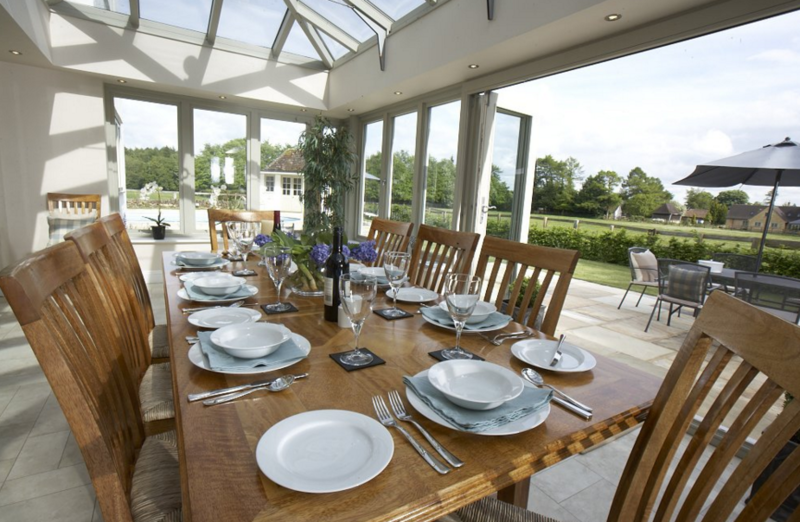 Stunning family home, with enormous orangery dining room and large garden space ideal for marquee plus outdoor pool. This stunning family home in Moreton in Marsh at the heart of the Cotswolds has everything you need for a large family or friend gathering, including an outdoor swimming pool, sun loungers, BBQ, patio seating with parasols, a modern orangery with huge dining table seating 14 guests comfortably, table tennis, a trampoline, open fireplace in the lounge and iPod docks and televisions in all the bedrooms. All linen and towels are provided. Private dining can be arranged prior to your stay. There are Spa and beauty treatments available, also by prior arrangement. A hot tub can be sourced by arrangement. On the ground floor there are two king size bedrooms, one with en-suite shower and toilet, the other with shower room and toilet immediately opposite. These are also the ground floor toilet facilities in the house. 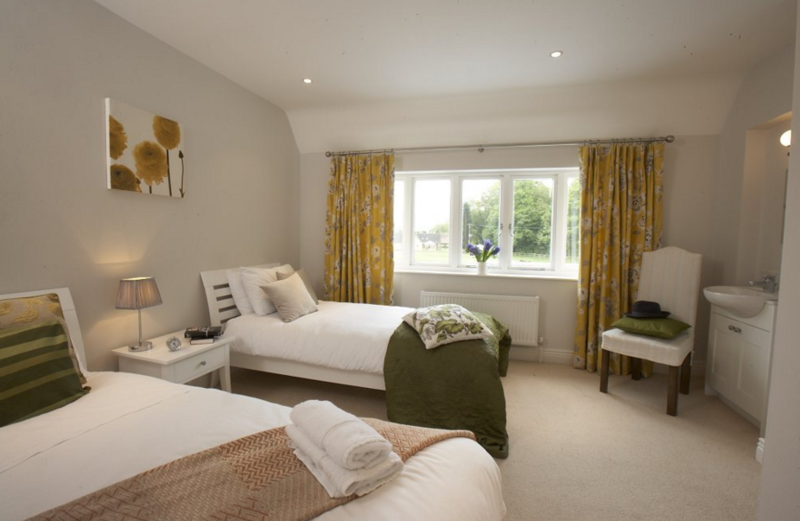 The first floor has two king size bedrooms, one with an en-suite bathroom with bath and shower, another has two twin bedrooms both with wash hand basins and one main family bathroom with bath and shower. 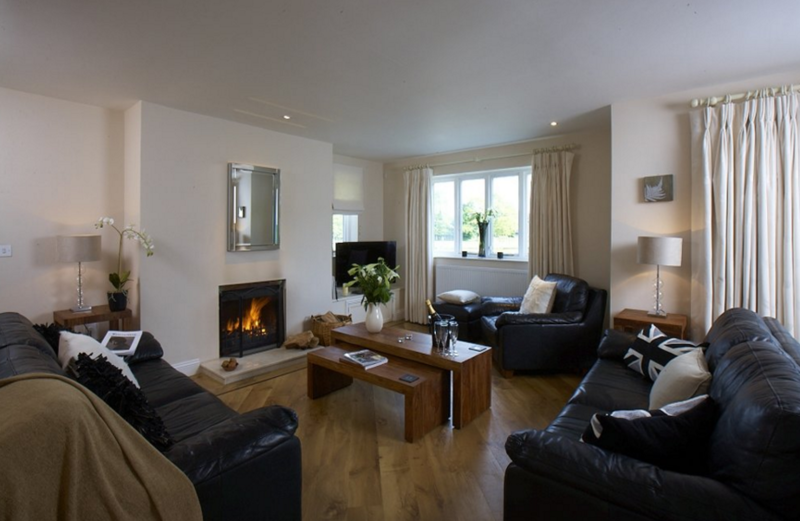 There is a large lounge with open fire, bluetooth speaker system for use with MP3 players, a BluRay player and a 42" TV. 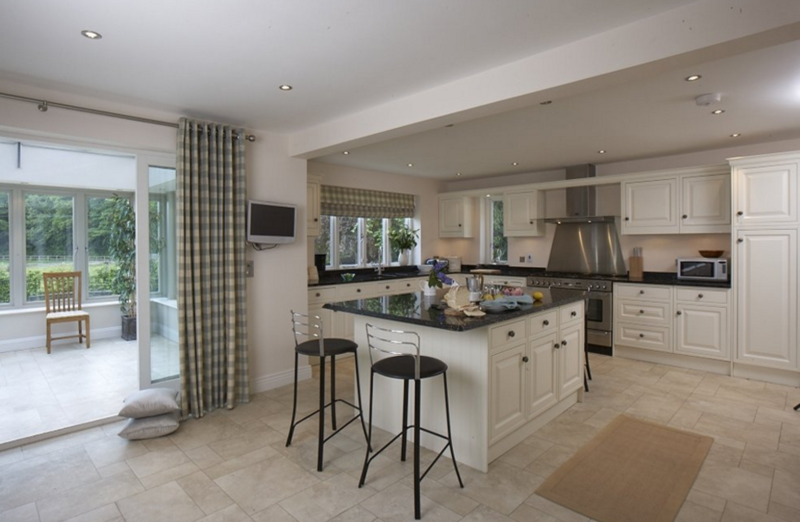 The large family kitchen comes complete with American style larder fridge, separate wine chiller, large range style gas cooker and dishwasher. Utility room off the kitchen houses the washing machine and tumble dryer. Local activities include Clay Pigeon Shooting, Quad Biking, 4X4 Off-Roading, Helicopter Treasure Hunts, Hot Air Ballooning, Paint balling, Archery, all around five miles off site. If you are looking for a Cotswolds wedding with a marquee, Field House has all the facilities in place including ample parking. 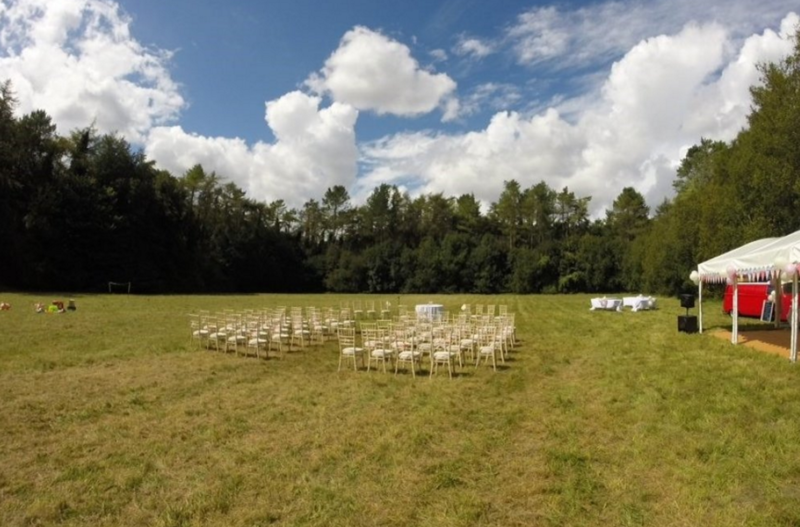 A huge field to the side of the house is large enough for even the biggest of wedding marquees and it is the perfect setting for that romantic, outdoor Cotswolds country wedding. Why not use the house for a corporate gathering, event weekend or team building location. Located in Moreton in Marsh in the Cotswolds and within 10-20 minutes drive from the picture postcard villages of Broadway, Stow-on-the-Wold, Chipping Campden and Bourton-on-the-Water. 25 miles from Cheltenham and just 15 miles from Stratford-upon-Avon. The Ashmolean Museum Broadway, Hidcote Manor Garden (NationalTrust), Snowshill Manor, Sudeley Castle, Cotswold Farm Park, Adam’s Farm, Cheltenham Racecourse, RoyalShakespeare Company, Longborough Festival Opera are just some of the attractions in close proximity to the property. Minimum stay of 3 nights for this property. Available throughout the year for weekend / mid week stays. 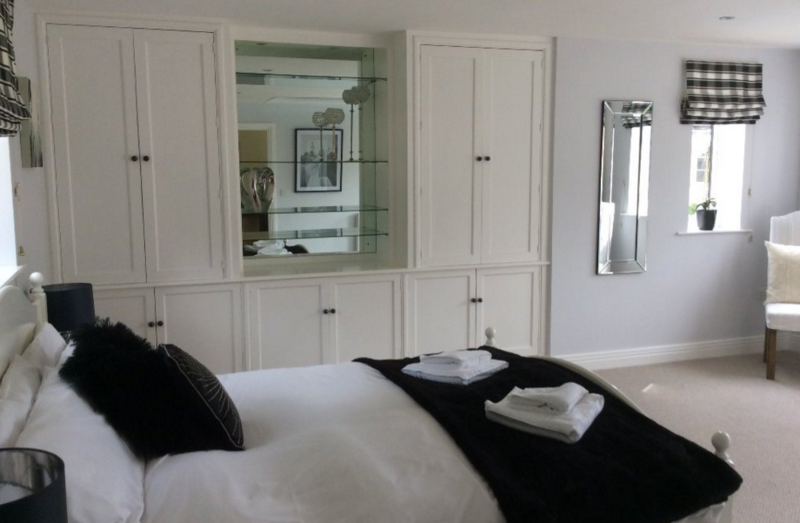 Weekends Fri - Mon minimum 3 night stays. Will consider 2 night stays on request. Discount available for bookings of 7 nights or more.